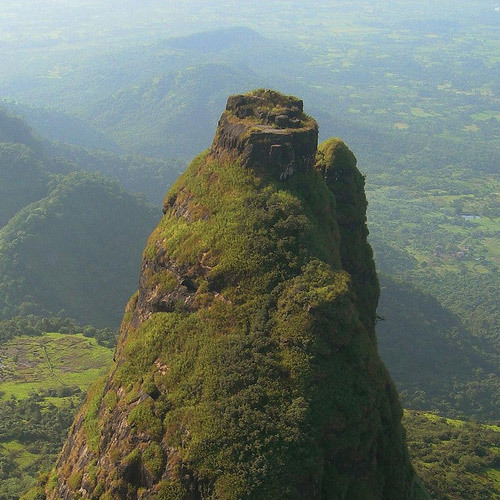 The Peb-Vikatgad fort was built on a soaring hill close to Matheran, and is about 2100 feet tall. The rugged structure of the fort and the rotund hill beneath it makes it a great place for photography. There’s a small shrine at the very top of the fort, from where you’ll be able to get great views, and take spectacular pictures. 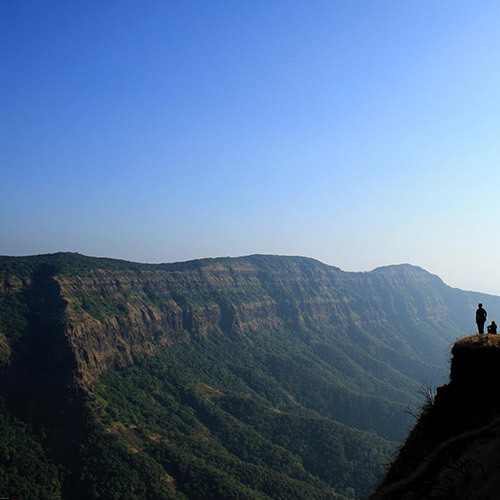 About the Peb-Vikatgad fort trek:The Peb-Vikatgad trek is a moderate one. 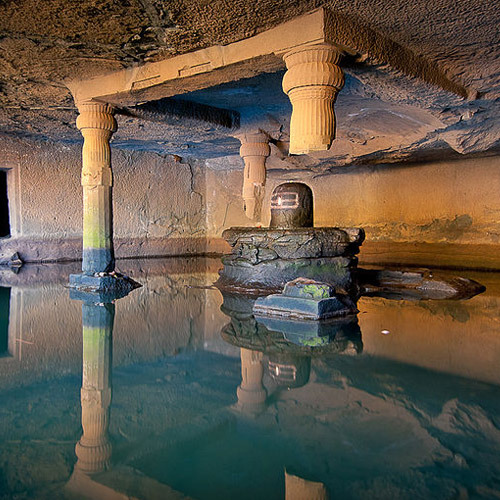 Do be aware that it has some rocky climbs, as well as narrow trails along the edge of a valley. During the monsoon, the winds here are quite strong and the path may be mossy or slippery. However, it offers an adrenaline rush and a fun adventure for those who love the outdoors. 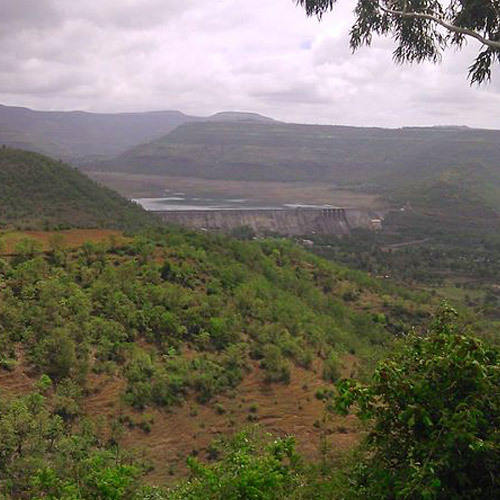 About the Peb-Vikatgad trek:The nearest railway station is Karjat, but the trek begins from a village beyond Neral. The trek takes about 3 hours to get to the top. You’ll scramble over slippery rocks, and hike through rain-drenched forests. As you climb higher, you’ll see the views beginning to open into wider landscapes, and by the time you reach the top, you’ll get stunning 360-degree views. At the top, you’ll have time to eat lunch, explore the ruins and enjoy the misty weather. After that, it’s time to head back. 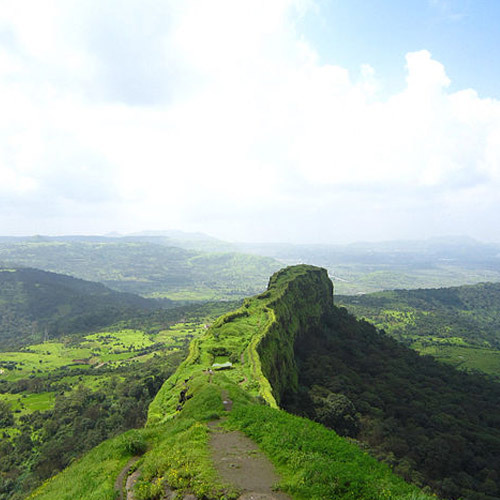 Best time to visit Peb-Vikatgad fort:The Peb-Vikatgad fort trek is best done in the monsoon, when the weather is cool and the trail is green. From the top, you’ll get to see the hills around, as well as the grey skies above. 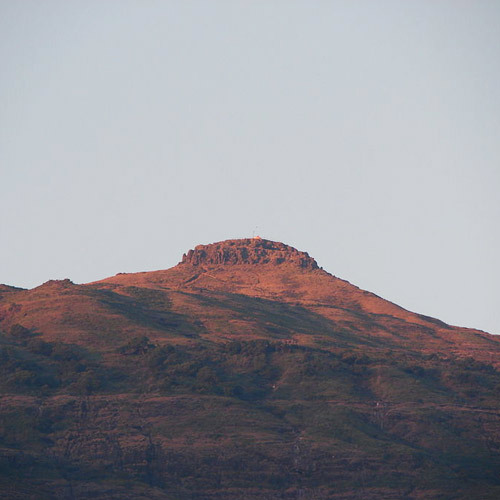 What to carry for the Peb-Vikatgad trek: For your Peb-Vikatgad trek, you should take appropriate rainwear and trekking shoes. Do carry your essentials like water, snacks, insect repellent, first aid kit, and camera in a small day pack. Don’t forget to pack a rain cover for your bag, or pack your belongings in plastic to protect it from getting wet. Also, carry a change of dry clothes and a long-sleeved jacket or sweatshirt to keep you warm on your return. 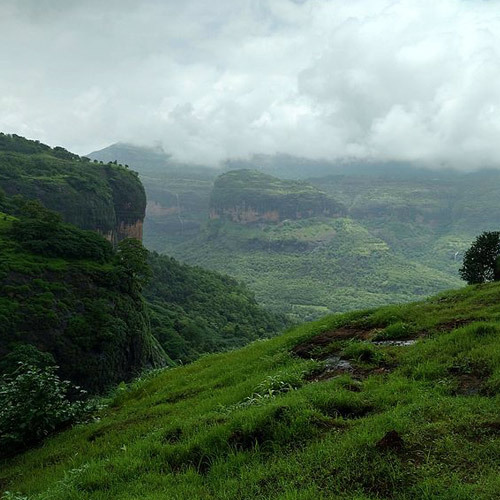 Take a monsoon trek into the green Sahyadris, along a fairly easy trail that offers some exciting challenges to the amateur trekker. 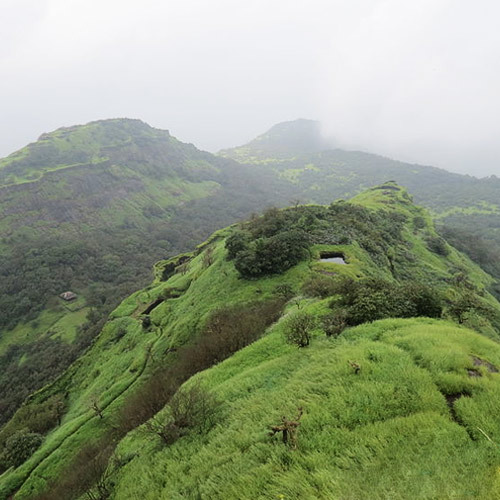 On this trek to Vikatgad fort, you'll walk through rain-drenched forests, scramble over slippery rocks, climb up swaying ladders, all for the experience of exploring a misty summit. 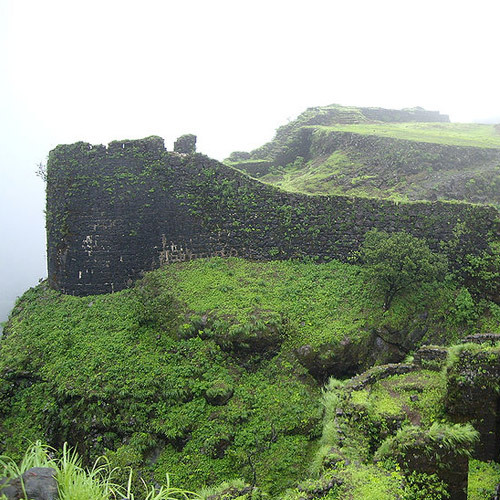 Vikatgad fort is not too far from Neral station, and can easily be done in a single day.